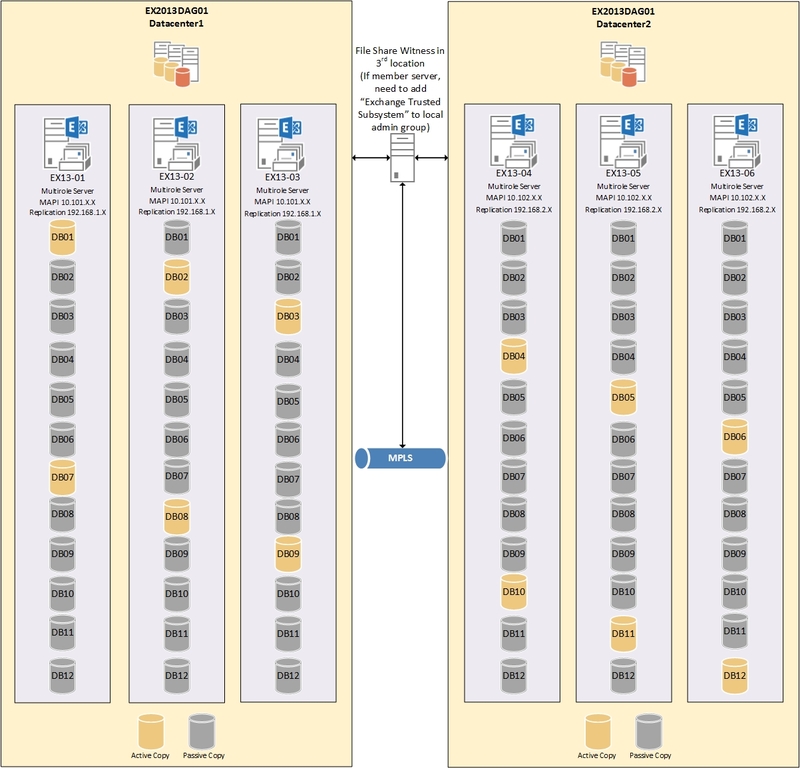 This is a continuation of my Exchange 2013 Planning Visio diagrams, and in this post we'll deal with the DAG overview. We'll be standing up a 6-node, active/active, multirole, DAG in two (2) separate datacenters/sites, with a Fileshare Witness in a third datacenter/site; all connected by MPLS. We will have twelve (12) mailbox databases. I'm using the building block model that Microsoft suggests in order to evenly distribute the databases across each server. First, you'll want to download the newest Exchange 2013/Office 365/Lync 2013 Visio stencils from Microsoft so the shapes will render correctly. thanks for these. I've been strugling with visio and getting a picture drawn. I can use your excellent pixs as a good starting point. Thanks!